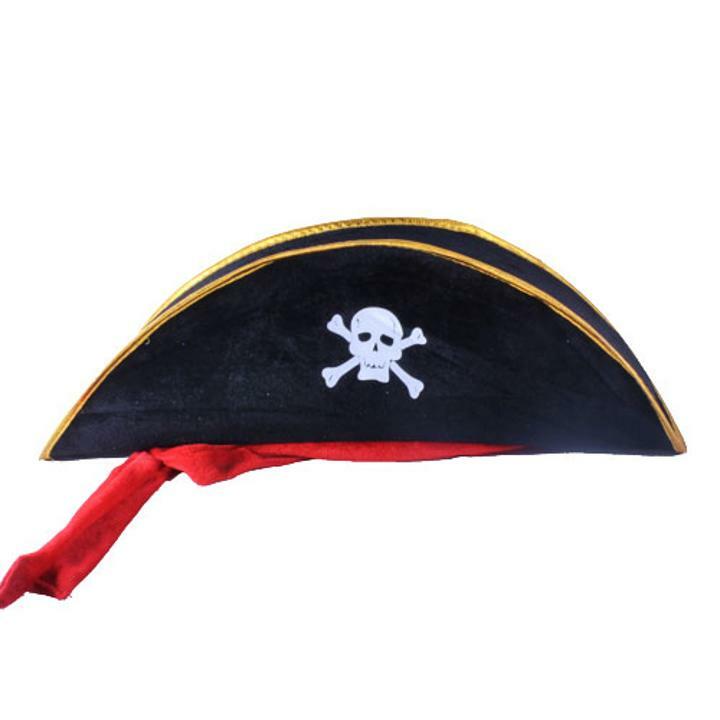 1 Arrrrsome Pirate Hat. Each hat features a white skull and cross bones on a black velvet hat with gold trim and a red tie sash. Use the hat to complete your pirate costume or as a fun stand alone. See our full collection of hats, masks and costume accessories. L: 20.0 in. W: 3.5 in. H: 7.0 in.